Thanks again for Alain for the link to the Radio Shack Catalog web site. Many thanks for the info and the link to the photo. I'll add it to the spreadsheet. Thanks Zardoz. The spreadsheet still has a lot of holes. Any help with finding better box photos, original list prices or ELO ratings would be deeply appreciated. Also, the thumbnail photos can be enlarged to their original size by selecting the photo, right-clicking and then selecting "Format Picture" then "Size" and click "Reset". To get the size back to the thumbnail, set the size to 1 inch. Thanks for listing the prices. Was the Chess Companion model number 60-2216 or 60-2439? 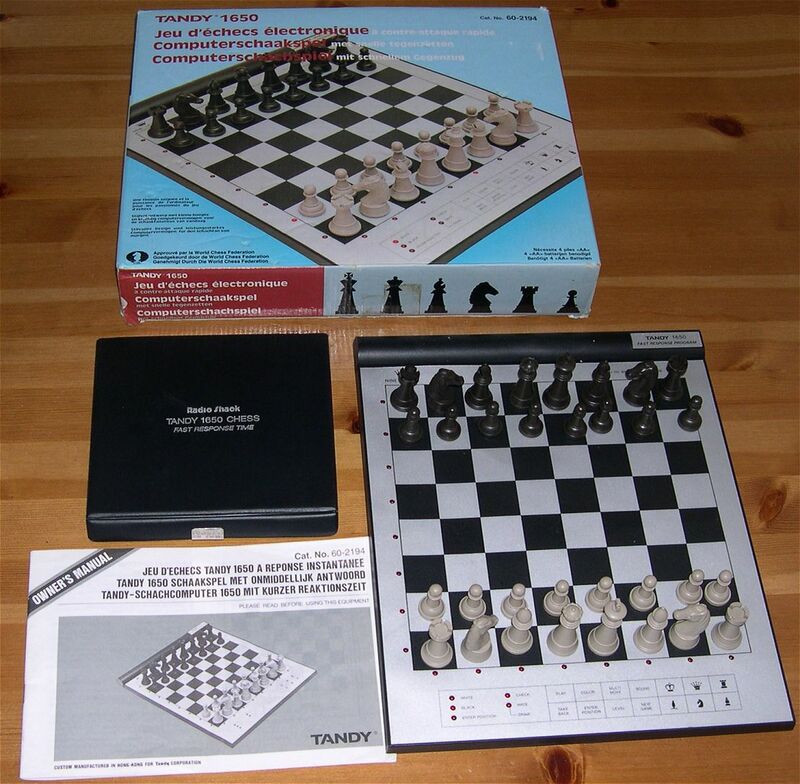 Was there a model name or number for the Portable Chess? Many thanks. There was no model name for the Portable Chess in the advertisement. It looks to be the 1750L that is pictured on line 32 of your excel worksheet and it has the same model number with extra letters at the end: 60-2444SJ. In fact, all of the models shown in the advert have the "SJ" at the end of the unit number for some reason unknown to me. Great. Thanks for the model numbers. I have created an Excel spreadsheet with the information from the Radio Shack Unit listing Word doc. I have added photos of the units and / or packaging. Also included are ELO ratings and original list prices. If you have any additions, corrections or comments, please let me know.